Websites and web-based experiences have become the expectation for successful brands. Never before have businesses benefitted from worldwide 24-hour brand re-enforcement, lead generation, conversion optimization and ecommerce – all without dependency on human resources. You have 10 seconds to leave an impression and tell them what they’ll get out of your website and company. After this time (and oftentimes before), they’ll leave. Today on the world wide web, there are over 1 billion websites and counting; and thanks to the proliferation of mobile devices, responsive design is leading the charge. From 2014 to 2016, tablet internet consumption grew by 30% and smartphone internet consumption grew by 78%. 40% of all users search for products on these devices. But these users can be notoriously fickle – 39% of site visitors will stop engaging if images take too long to load while 38% of people will walk away if the content or layout is unappealing. Your website can be your brand’s best friend or its worst enemy. Luckily, our clients are in good hands. 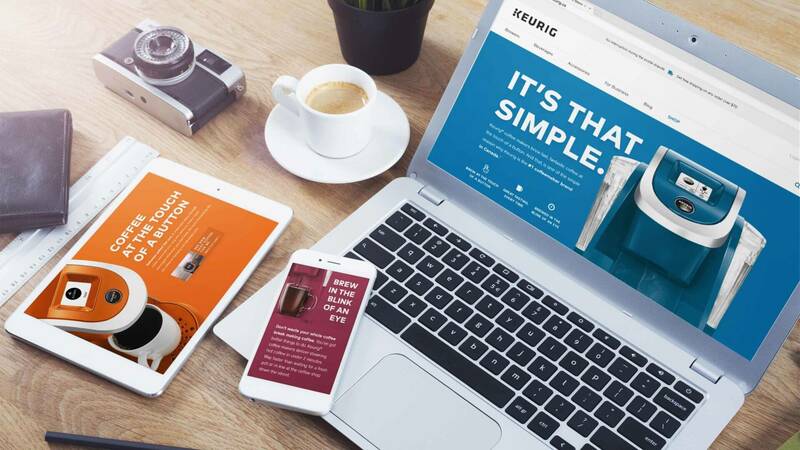 Brands like Quiksilver, 7-Eleven and Keurig have seen ROIs that make a definitive case for Idea Rebel’s website design development expertise.